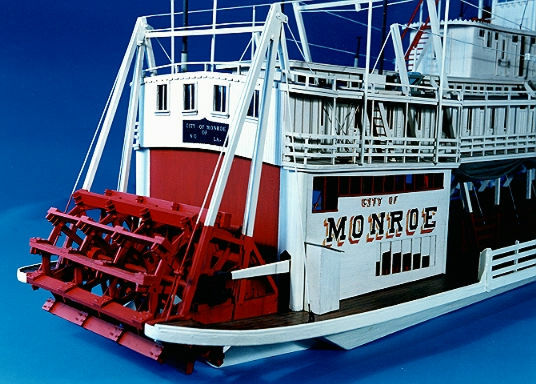 A radio-controlled scale model of the City of Monroe, by Jim Hale. 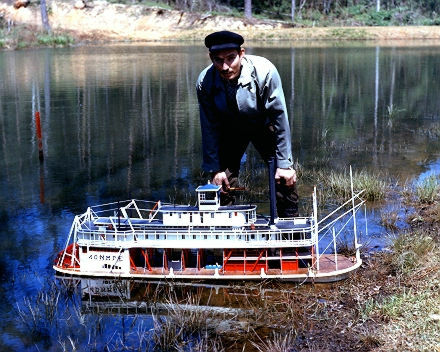 Jim Hale with the City of Monroe in Alabama, c. 1975. 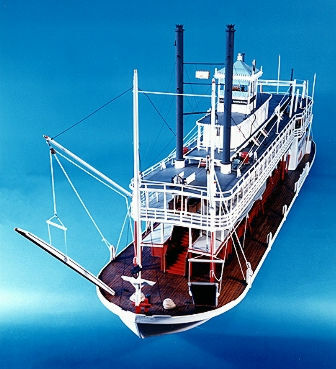 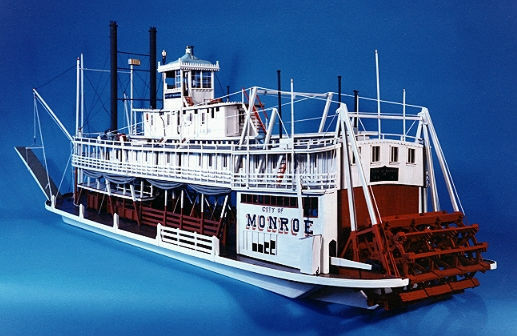 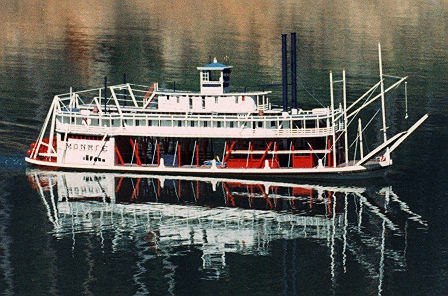 Photos with blue background (below) are by Dave Thomson (The City of Monroe is part of the Dave Thomson collection, see the Dave Thomson Wing of Steamboats.com - click here).